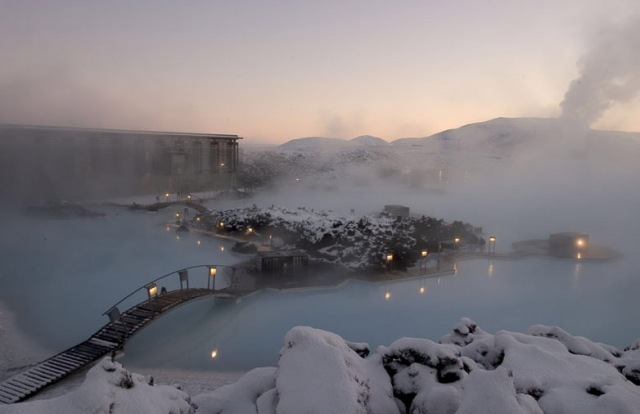 We will go to the Blue Lagoon from Reykjavík, the Geothermal blue water where one can swim in outside. 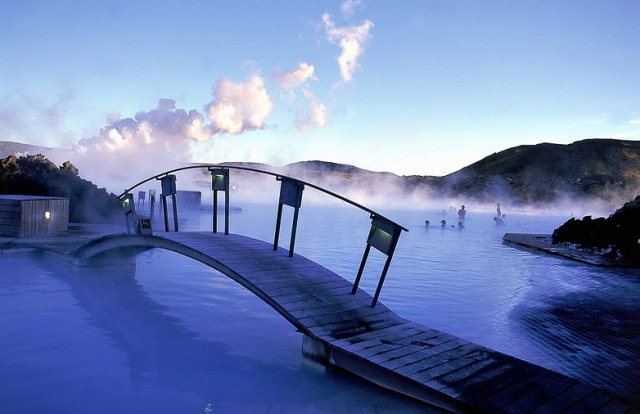 Blue Lagoon which communicates world of healing power, wellness and beauty, is founded on a unique source of geothermal seawater that originates in Iceland’s extreme environment. 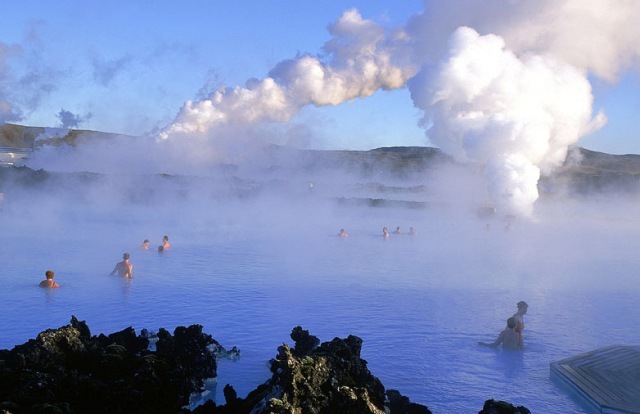 The heart of Blue Lagoon’s operation is at the Blue Lagoon, Iceland’s most unique and popular attraction. 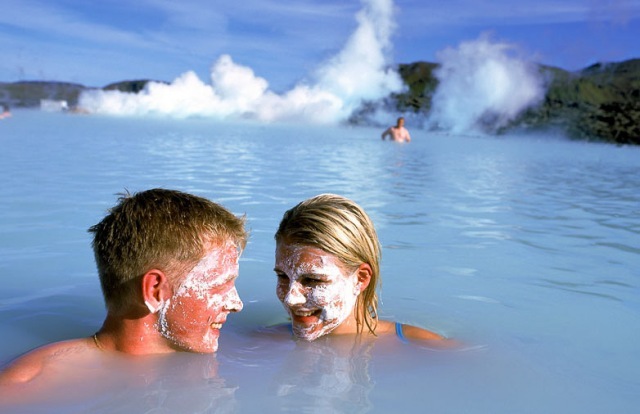 Guests enjoy bathing and relaxing in Blue Lagoon geothermal seawater, known for its positive effects on the skin. A visit to the spa promotes harmony between body, mind and spirit, and enables one to soak away the stresses of modern life. The spa’s guests renew their relationship with nature, soak up the scenic beauty and enjoy breathing the clean, fresh air In addition to bathing in the lagoon guests have access to a sauna with a view of the lagoon, a steam bath with white walls that resemble silica mud and a cosy steam bath carved into a lava cave. 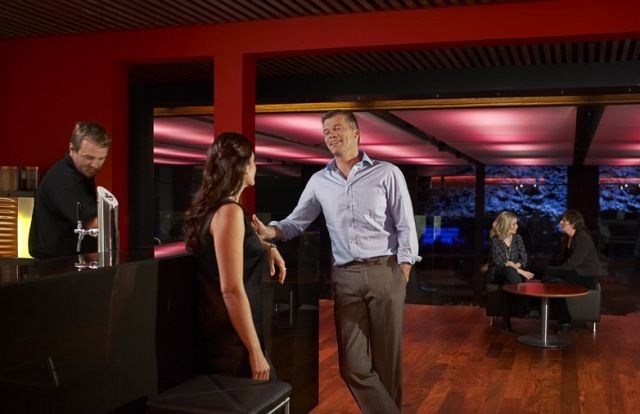 Guests can also stand beneath a Blue Lagoon waterfall for an energizing massage. 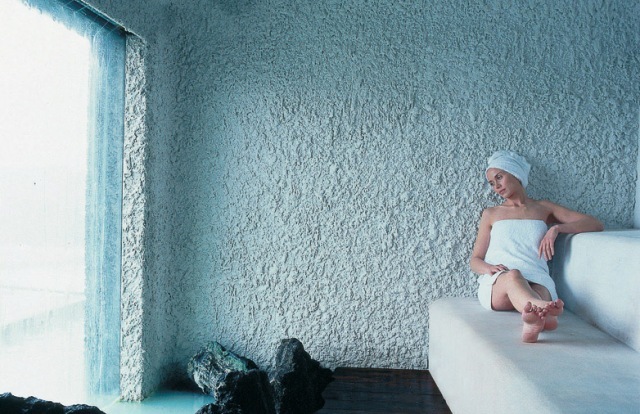 Of course, guests bathing in the milky waters of the lagoon have easy access to the famous white silica mud, an essential part of the spa experience. 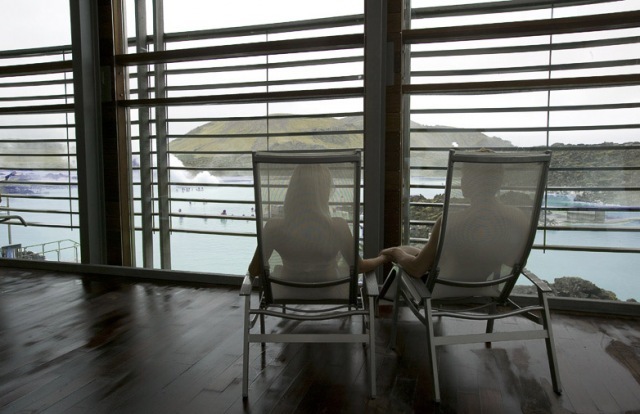 A selection of Blue Lagoon in-water spa treatments and massages are available. They take place in the lagoon, and the fresh air and natural surroundings enhance the feeling of wellness. The steamy/smoky area creates mystic atmosphere that is not found in other places. We will see Reykjanes peninsula with its magnetic landscape, lava fields and lunar landscape, a no mans land like nothing else. We will drive to the coast as well. In Reykjavik capital we will see the tallest building in Iceland. Hallgrímskirkja church and the big statue in front of the church of Leif Eriksson, the Icelandic Viking that discovered America long time before Columbus. 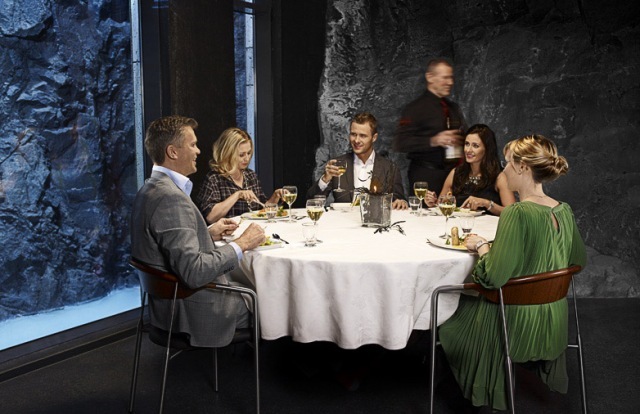 We will see the national museum which is the most impressive museum in Iceland, among other things has Viking remains and gives you good idea of the Icelandic history. We will take a look at the harbour with all its ships. We will walk in the centre of the city. 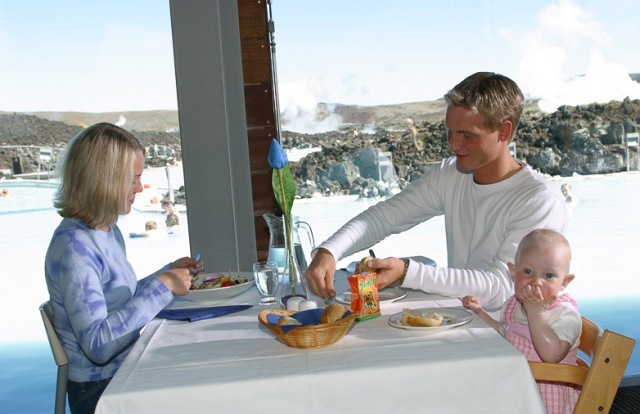 Optional: Hafnarfjordur where we can eat in a Viking restaurant, also have a Viking show is possible. What is done and in what order can depends on when the plane arrives.